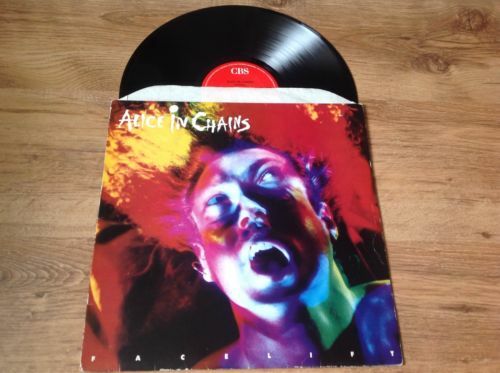 Alice In Chains Facelift Vinyl Rare OOP. Grunge. Nirvana. First Pressing. This is an auction for an Alice in Chains vinyl. This is original and is in excellent condition. This is an exceptionally rare vinyl that sells for over £130 on Discogs on average. This album has never been repressed and it is very, very rare. Less than 5000 were ever pressed. I have put up the buy it now price as a fair representative price without ripping people off. I will ship worldwide but please check that you are not excluded. Vinyl is graded are very good / near mint. These vinyls are very rare and hard to find.